The Lovejoy Girls Golf Team is getting better week by week. We finished 4th of 7 teams competing this weekend in the RHS Firewheel Fall Invitational. The girls shot totals Friday/Saturday of 416/412 for tournament total 828. These single days are a 20 shot improvement from previous tournaments this year. 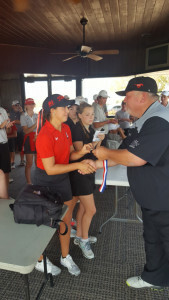 Allie Bianchi in her 3 tournaments so far has finished 1st, 3rd, and another 1st. 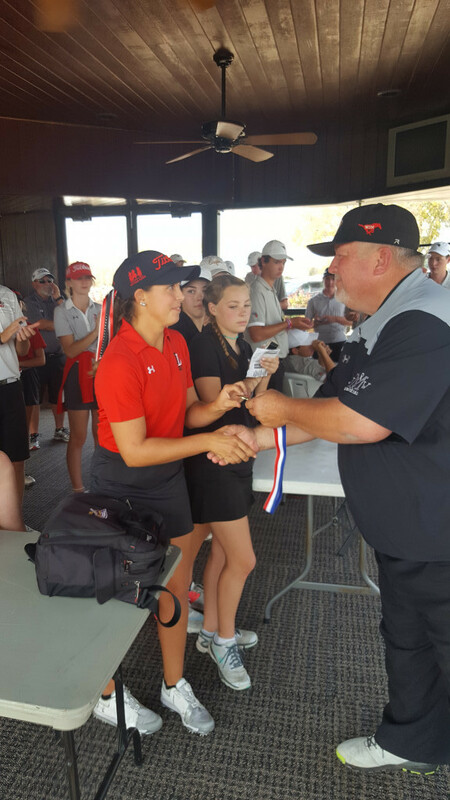 She has set the Lovejoy school record for low 2 day scores. Friday she shot 76, which had her tied for the lead. Saturday the wind made conditions very difficult. She was able to card a 75, for a total 151, and an 8 shot victory. She is playing very consistent golf at this time. Allie is working hard to improve her wedge and putter play. The rest of the girls are showing steady improvement. Aurea Carlisle shot 106-113/219. Ella Golfsmith shot her best rounds 112-112/224. Sydney Barker shot 116-113/229, and Meghan Spencer shot 116-117/233. We are focusing on April. We want to improve and play our best then.